I love family movies. I love animation. I love telling stories with heart and humor that both kids and adults can relate to. I’m in my happy place when I write a joke or a scene or a script that both my 6-year-old cousin and 61-year-old dad can enjoy. My childish creativity and knack for puns lend themselves really well to writing family movies. I also dabble in other genres when the project’s right. A family movie about a tugboat named Tug and his best friend Cargo, a freighter. 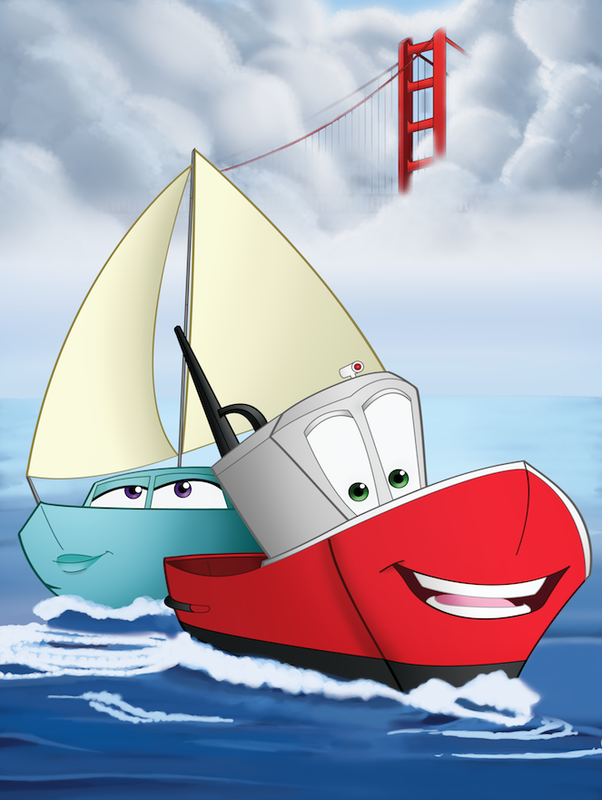 When Cargo goes missing, Tug must leave San Francisco Bay for the first time in his life to find him. An animated short about a tadpole who struggles with being a late bloomer. While his friends develop into frogs, he remains a legless outsider. But when the frogs get plucked out of the water by a 10th-grade biology teacher on dissection day, our tadpole hero is the only one who can save them. A family movie about a children's book named Bloom and a ragtag group of library books. When they learn their public library will soon be demolished, they must trek across town and defeat vicious e-readers to save it. Based on the novel by Khaled Hosseini. My writing partner, Mike Parker, and I wrote a spec script for Hosseini's third novel. We don't advise writing an adaptation without the rights first, but this story is so powerful we had to write it for the screen. The book follows multiple characters through Afghanistan, but we focus on two siblings, Pari and Abdullah, who get separated as young children. They spend the rest of their lives trying to find each other.